Makeup and beauty !!! : This or That tag post !!! This or That tag post !!! 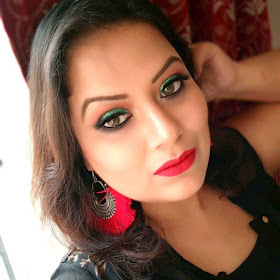 I know I am the last person who is completing this tag post and my friend come blogger Riya suppose to kill me for not posting it …..due to my laziness I admit I am always late , so please bear with me and let’s get started ! blush or bronzer: definitely I am a blush lover. lip gloss or lipstick: Lipstick ! lipstick ! lipstick ! foundation or concealer: definitely foundation as I don’t use concealer much…. OPI or china glaze: none , coz m not a lover of nailpaints still if you say that I have to choose then it would be OPI. Long or short: short, as I have to handle my baby so I guess no other option until he grow. Brights or darks: always bright one ….. Flower or no flower: I don't mind either. body wash or soap: Body wash! lush or other bath company: I never use lush so I can’t say about it so other bath company like I love bath and body works. jeans or sweat pants: Jeans. long sleeve or short: Short. flip flops or sandals: Flip Flops. studs or dangly earrings: Dangly earrings! heels or flats: Flats for dailywear ,heels for occasion. bobby pins or butterfly clips: Butterfly clips. hair spray or gel: neither. side sweep bangs or full bangs: neither, I know I am kind a boring person . Summer or winter: winter ! And finally I am able to complete this tag post so cheers ! and i know most of them already done this post still those who haven't I am tagging all those bloggers :) and others i mean non-bloggers if you want to share your choice please feel free to share your choice in the comment section below ! will love to hear from you all ! besh besh...its nice knowing u..
nice tag!! !i agree with you to the most!